Carbon Foam has the best fire, smoke, and toxicity properties of any lightweight composite core material on the market today, including polymer and pitch based precursors. CarbonFoam has applications in a broad range of markets, including marine building, transportation, and others. At CarbonFoam we understand how this revolutionary material works as our products undergo almost all key fire tests including being exposed to a 1650°C acetylene torch. Carbon Foam will not support combustion because it is made from inorganic carbon – the best material available in high-temperature applications. 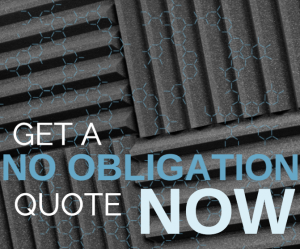 In relation to marine and shipbuilding applications, when tested in accordance with requirements for commercial and maritime applications by the US Coast Guard and International Maritime Organization, Carbon Foam passed with flying colors. The three metrics that defined testing included combustibility, mass loss, and temperature rise. In contrast, polymer based carbon foams do not pass non-combustibility tests and therefore are not suitable for many marine applications. CarbonFoam products also performed brilliantly when the material was exposed to successive heat fluxes. The Carbon Foam released no heat, smoke, nor was ignited as is a potential problem with other materials.